When you made up this year’s budget, how much did you calculate saving on labor? For cleaning businesses, labor costs account for approximately 80% of expenses. Here’s one idea to save, while maintaining productivity. Upgrade your machines to a faster, more efficient arsenal of commercial cleaning equipment. 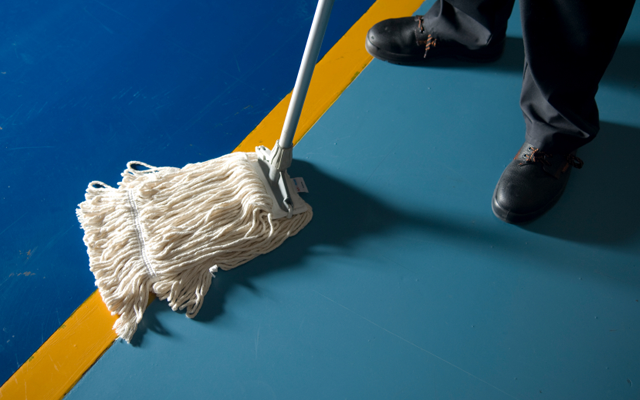 Did you know that it takes a worker 14 hours to clean 50,000 square feet with a mop and bucket? Whereas a walk-behind scrubber, such as Tornado’s BR 18/11 floor scrubber, can finish the same sized job in about three hours. At $15.00 per hour, this investment would pay for itself in under two months. For a reasonable, upfront, cost, cleaning businesses can cut expenses and create more time. As we all know, more time equals the ability to take on more customers. A mop and bucket is deceptively over priced, considering what you could have purchased. This year make more money and throw away that old mop. Give your workers a tool that can virtually triple productivity! In just a few short months, the right scrubber can pay for itself. The proof is in the numbers. Often times, BSCs will find themselves fighting low margins and cut spending in the important areas, such as equipment. With a second glance, we trust you’ll see he earning potential behind machines that save on labor and open the doors to new customer opportunities. Even business owners tasked with cleaning their own establishments are trying to improve productivity and efficiency. To save money, this restaurant leaned on Tornado for the right product. You’ll see their glowing opinions of performance and usability. 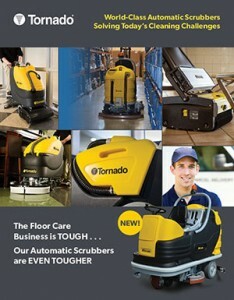 Check out the case study now, or even try our Labor Savings Calculator to see what a new floor scrubber can do for you. Acquiring high quality, commercial cleaning equipment is a great way to retain customers. 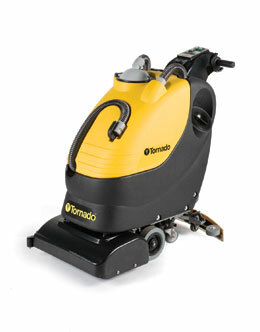 Tornado’s floor scrubbers provide the type of efficient cleaning that promotes customer loyalty. As you accommodate a customer’s busy schedule, using less resources, while deeply cleaning their floors at three times the pace, you’re earning the respect the business deserves.